I went to a local department store to pick up a few items for myself. In the few months prior to that day I had been looking for a purse. I knew what I had in mind, a particular size, style and color. While I was walking down the aisle on the way to a particular department, not shopping for a purse, I happened to walk by and along the edge of the display was a purse that had fit the description. As I walked by, I just grabbed it and began to walk away. I was in a hurry that day to pick up my children from school. I had a list of things to go in and get and leave. I was on my mission to accomplish things that day. I had an agenda, a list of things to do. I heard a woman's voice call out to me, and say, "You must really know who you are!" Her tone was somewhat sarcastic, yet serious at the same time. Something in her voice seemed a bit weary and distressed. Something made me stop and turn and engage her. I stopped and turned to see if she was addressing me, and I asked her, "Oh excuse me, were you speaking to me?" The woman responded, "Yes I am speaking to you." I approached her and asked her, "May I ask why you said that?" Her response took me by surprise and gripped my heart as the following encounter took place. "I saw you", she said, seemingly annoyed. "I watched you. You walk in here, walk by a rack, grab what you want and keep walking. What is up with that?" She continued on, "I have been here for 4 hours trying to decide between a brown purse and a pink purse. You walk by, pick up what you want and continue on with your life. You must really know who you are and what you want." I looked her in the eye and could see that she was really struggling. I asked her softly, "Do you not know who you are?" She responded, appearing disappointed with herself. "Apparently I do not. I can't even make a decision between the brown and the pink purse." "Well," I asked her, "which one do you love?" 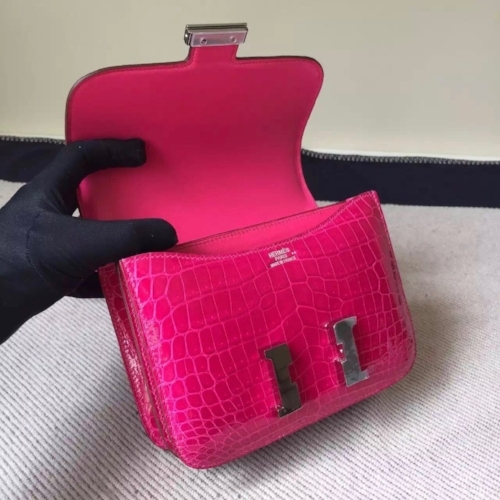 "I really love the pink one, but all my friends say I should choose the brown purse because it is more conservative and will go with more of my wardrobe. I have literally been here for 4 hours wrestling with this decision." she said. I looked in her eyes and I gently asked her, "Isn't life too short not to enjoy the things YOU love?" She looked back in mine and she said, "You're right. It's time for me to enjoy the things that I love and not worry about what other people think. I'm buying the pink purse. Thank you for taking the time to help me choose for myself." "You're welcome. I have to go now. Have a nice day and enjoy that purse!" I said, as I went on with my day. There are layers to this story. It's a story of identity. It's a process of discovery. It's a story of the beginning of healing of the soul & spirit. There are encounters waiting for us all everyday. Putting aside an agenda and a schedule can bring freedom in the most unexpected ways. Take the opportunity to slow down, look someone in the eye, hear their heart and love them. Life is too short not to know who you are and what you love. The pink purse may have been the beginning for her in her process of discovery. It can change the world when you find your passion and your purpose. What is your passion and purpose?